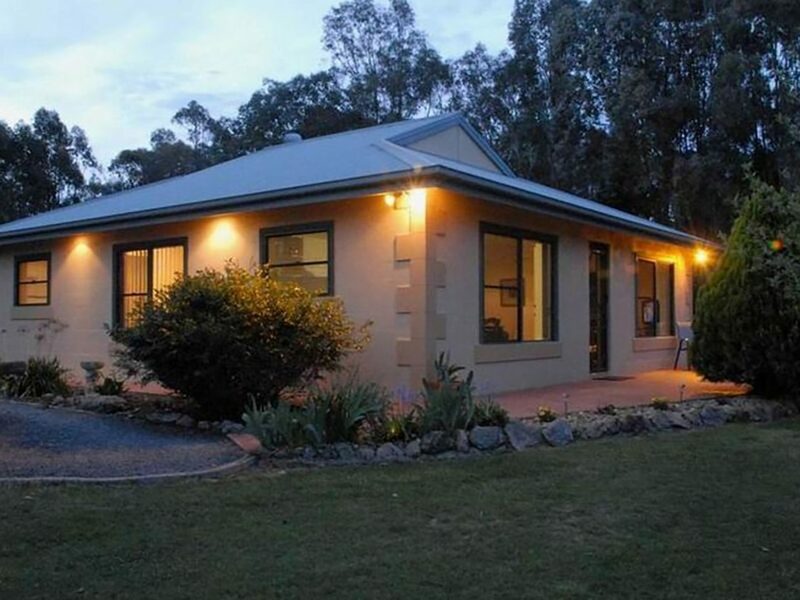 Relax in your home away from home in an affordable self contained cottage offering complete privacy in a tranquil bush setting, minutes from the heart of the historic township of Beechworth. Suitable for a romantic interlude, family holiday or quiet country escape. Serena Cottages offer two separate and private cottages surrounded by a picturesque garden filled with a large variety of birds, especially the many finches and colourful parrots of the region. An ideal place to relax and wind down in the midst of peace and serenity or great to use as a base to explore the region. Nestled in the foothills of Beechworth, just a short walk to Woolshed Falls and Kelly Country offering bike and walking trails, gold panning or fossicking, with Mount Pilot and sacred Aboriginal Art sites close by. Serena Cottages’ two separate and private cottages surrounded by a picturesque garden filled with a large variety of birds, especially the many finches and colourful parrots of the region. The main bedroom is very spacious and features a queen sized bed. The second bedroom has two full sized singles. There is a pull out double bed sofa in the lounge room that can accommodate two more persons.